67 Annex 2 – LIST OF SCENARIOS COVERED Text Citation Region Full Reference APEC/ADB (2009) Asia and the Pacific Asia-Pacific Economic Cooperation/Asian Development Bank. 2009. Energy Outlook for Asia and the Pacific. Mandaluyong City, Philippines. 400 pp. BNEF (2011) Global and China Bloomberg New Energy Finance. 2011. Global Renewable Energy Market Outlook (GREMO). London. BP (2012) Global BP. 2012. BP Energy Outlook 2030. London. 88 pp. Brazil MME (2010) Brazil Brazil Ministry of Mines and Energy. 2010. “Outlook for Alternative Renewable Energy in Brazil.” Brasilia. 28 pp. China ERI (2009) China China Energy Research Institute. 2009. China’s Low-Carbon Development Pathways by 2050. Beijing. 168 pp. China ERI (2011) China China Energy Research Institute. 2011. “Potential Secure, Low-Carbon Growth Pathways for the Chinese Economy.” Beijing. 27 pp. CREIA (2012) China Chinese Renewable Energy Industries Association. 2012. “Study of High Percentage Renewable Energy in China.” Beijing. EC (2009) Europe European Commission. 2009. EU Energy Trends to 2030. Luxembourg. 184 pp. EC (2011) Europe European Commission. 2011. “Energy Roadmap 2050.” Luxembourg. 22 pp. EREC (2010) Europe European Renewable Energy Council. 2010. RE-thinking 2050: 100% Renewable Energy Vision for the European Union. Brussels. 76 pp. Eurelectric (2009) Europe Eurelectric. 2009. Power Choices – Pathways to Carbon Neutral Electricity in Europe by 2050. Brussels. 96 pp. EWEA (2011) Europe European Wind Energy Association. 2011. Pure Power: Wind Energy Targets for 2020 and 2030. Brussels. 97 pp. ExxonMobil (2012) Global ExxonMobil. 2012. ExxonMobil – The Outlook for Energy: A View to 2040. Irving, Texas. 52 pp. Garg (2012) India Garg, P. 2012. “Energy Scenario and Vision 2020 in India.” Journal of Sustainable Energy & Environment. Vol. 3. Pp. 7–17. GEA (2012) Global Riahi, K. et al. 2012. “Energy Pathways for Sustainable Development (Chapter 17).” In Global Energy Assessment – Toward a Sustainable Future. Cambridge University Press. Cambridge, U.K. and International Institute for Applied Systems Analysis. Laxenburg, Austria. Pp. 1203–1306. (1866 pp. total) Greenpeace (2012) (Global and China) Global Greenpeace/European Renewable Energy Council (EREC)/Global Wind Energy Council (GWEC). 2012. 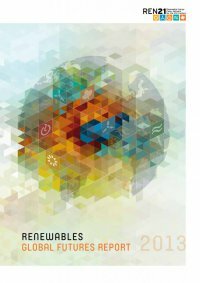 Energy [R]evolution: A Sustainable World Energy Outlook. Amsterdam. 339 pp. Greenpeace (2012) (Europe) Europe Greenpeace/European Renewable Energy Council (EREC). 2012. Energy [R]evolution European Union. Brussels. 128 pp. Greenpeace (2012) (India) India Greenpeace/European Renewable Energy Council (EREC)/Global Wind Energy Council (GWEC). 2012. Energy [R]evolution India. Richmond Town Bangalore, India. 80 pp. Greenpeace (2011) (Japan) Japan Greenpeace/European Renewable Energy Council (EREC). 2011. Energy [R]evolution Japan. Tokyo. 108 pp. Greenpeace (2011) (South Africa) South Africa Greenpeace/European Renewable Energy Council (EREC). 2011. Energy [R]evolution South Africa. Johannesburg. 108 pp. Greenpeace (2012) (United States) United States Greenpeace/European Renewable Energy Council (EREC)/Global Wind Energy Council (GWEC). 2012. Energy [R]evolution United States. Forthcoming. GWEC (2012) Global Global Wind Energy Council. 2012. Global Wind Energy Outlook. Brussels. 52 pp. GWEC (2011) (India) India Global Wind Energy Council/World Institute of Sustainable Energy (WISE)/Indian Wind Turbine Manufacturing Association (IWTMA). 2011. Indian Wind Energy Outlook. Brussels. 64 pp. IEA ETP (2010) Global International Energy Agency. 2010. Energy Technology Perspectives. Paris. 706 pp. IEA ETP (2012) Global International Energy Agency. 2012. Energy Technology Perspectives. Paris. 688 pp. IEA RETD (2010) Global Renewable Energy Technology Deployment Implementing Agreement of the IEA. 2010. Achieving Climate Stabilization in an Insecure World: Does Renewable Energy Hold the Key? Report prepared by Navigant Consulting. Burlington, Massachusetts. 59 pp.